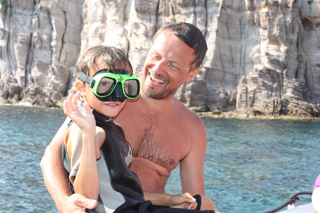 We offer a guided tour of the island with two stops in breathtaking coves, classes about snorkeling and marine life, including snorkeling equipment (fins, mask, snorkel, wetsuit) and a small snacks/aperitif on board. This is the best way to appreciate the beauty of this island and the depths of its sea with its incredibly clear water, through admiring the most hidden and less accessible underwater places! 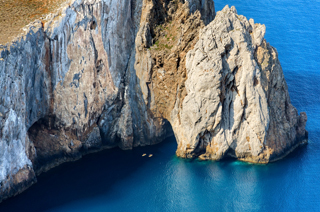 You can visit St. Peter&apos;s Island from the sea and give a close look at its beautiful cliffs overlooking the sea, at its countless caves inaccessible by land, and admire the colonies of Eleonora&aposs falcon, a raptor barely visible from the coast. 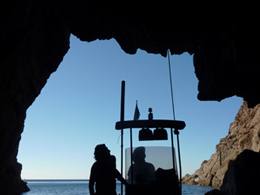 The tours are led by an experienced guide and provide stops in some wonderful secluded coves. Suitable far ALL, including children. €25 children 5-10 years old. FREE under 5 years old. AFTERNOON meeting at 3.00PM - RETURN about 7.30PM. For those who don&apos;t love scuba diving: you can experience fantastic snorkeling trips (surface swimming with fins, mask and snorkel) to admire the underwater world from above, observe the marine life, visit the coast from the sea and the fascinating partly-emerged caves. 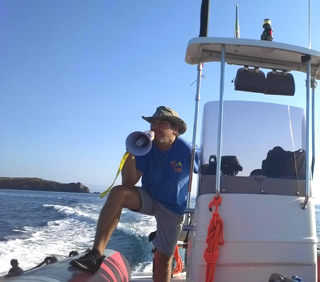 Participants will swim, led by an experienced instructor, who will explain the various forms of underwater life and will ensure them the maximum safety in the sea. 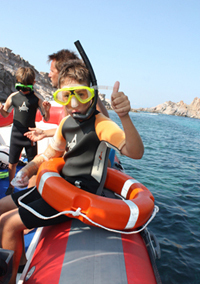 Included in the excursion: snorkeling lesson and a class about marine life, use of boat, equipment (fins, mask, snorkel, wetsuit) and snorkeling guide. Suitable for ALL, including children. 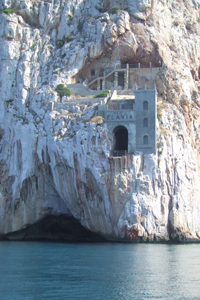 When weather conditions permit, we can go to visit the fantastic Pan di Zucchero stack, Porto Flavia, evidence of the ancient mining activity of the early &apos;900, and the imposing cliffs bordering the Sardinian coast near Nebida and Masua. The excursion includes two stops for snorkeling/bathing and a snack on board. Available to the participants fins, mask, snorkel and shorty. Suitable for ALL. During warm summer evenings, when the sea is so calm that resembles oil, it is a delight to enter into the water and swim along the coast, of course with the right equipment (wetsuit, fins, mask, snorkel and torch). You will immediately notice that there's an incredible life underwater. Many marine species cannot be seen during the day as they are in their dens, but at night they show themselves, go around and hunt; with your flashlight you can see this explosion of nightlife. It can also happen to see particular kinds of fish that sleep while being suspended in mid-water, thus being able to observe all their details. 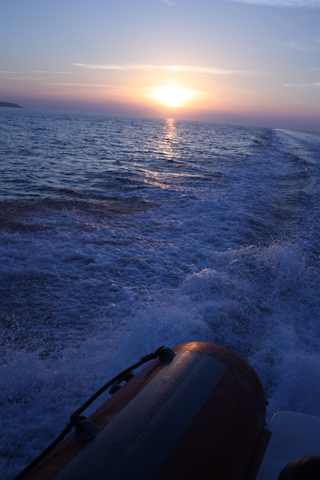 Participants will ride by boat to the selected site and will be accompanied in the water by an experienced guide.